Itihass Khukuri is one the famous Khukuris. The name referes to History, which denotes that the Khukuri is a historical one. This Khukuri is similar to the Paanwala. 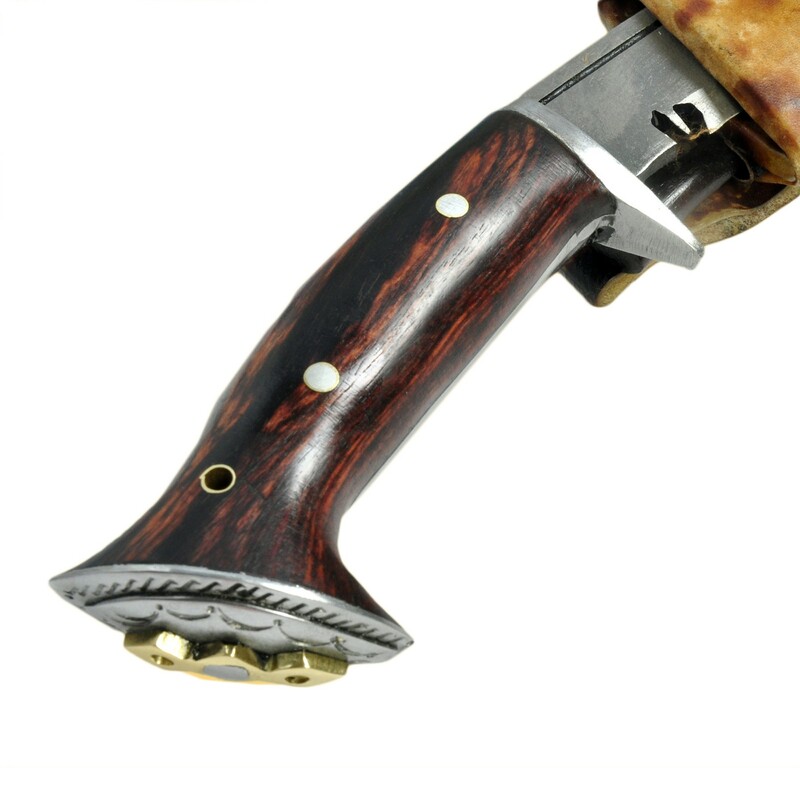 The blade of the Khukuri is made from High graded Carbon steel (Car and jeep leaf spring 5160). The blade is handmade and unpolished. The handle is made up of Rosewood in which the wood is fused together using a traditional Nepali glue called Laha. The size of the blade is 6 inch, It is a full tang Khukuri. The overall length is 11 inches, with the handle being 5 inches long. It is one of the most comfortable Khukuris. It has been used for a long time in daily activities. 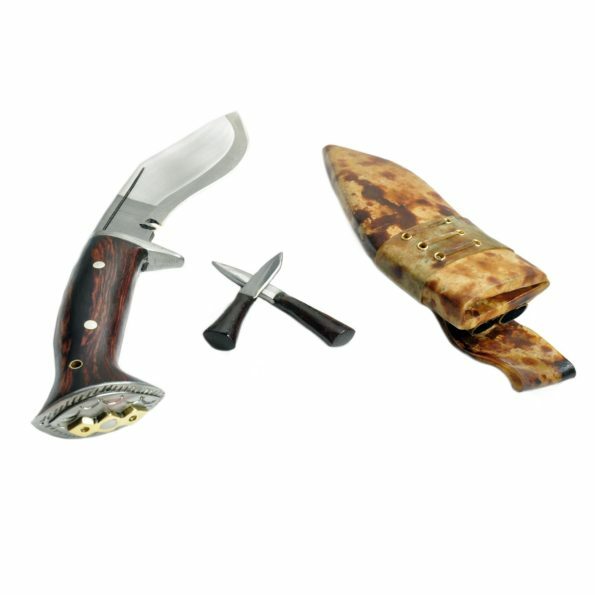 The Khukuri comes with a Scabbard made up of water buffalo leather which is fused with pinewood. The Itihass comes in Various shapes and sizes. The Khukuri weights 470gms. Hardness of steel : spine=22-25 RC, belly=45-46 RC, edge=54-55 RC. Blade Size and Type: 6 Inch and Unpolised blade,Handmade.